Collect your memorable Moments with Phoenix™ Drone. Its HD camera allows you to get great selfies effortlessly and also offers you an awesome bird's-eye view. 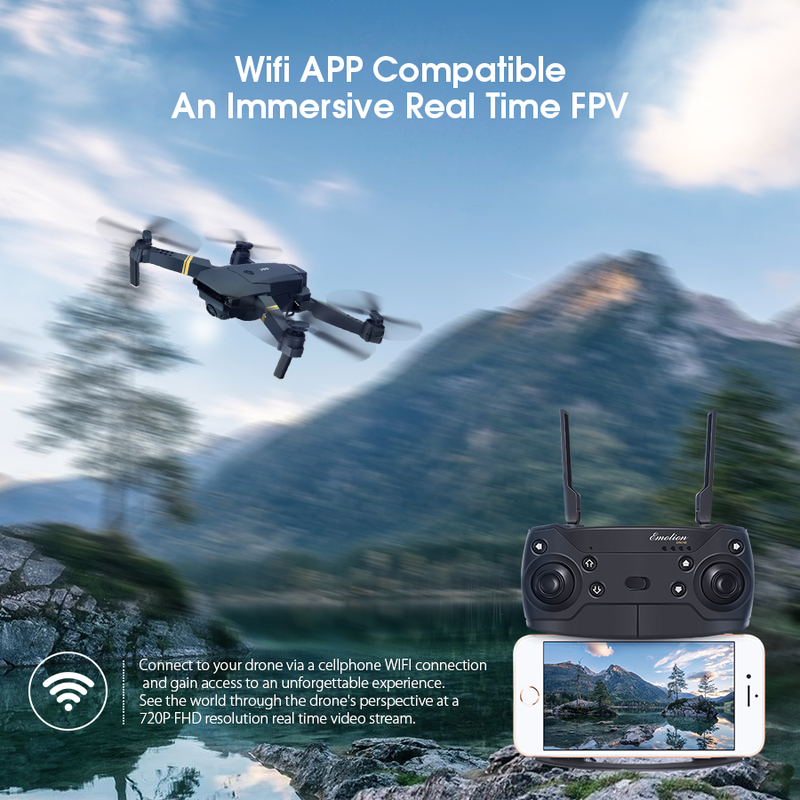 Simply connect your smartphone to the drone's onboard WiFi and the camera will start a live feed straight to your phone. This drone can fly indoor or outdoor and is surprisingly stable even in medium winds, making it perfect for flying outside. If you just want to fly the drone, you can remove the camera for extended flying time. 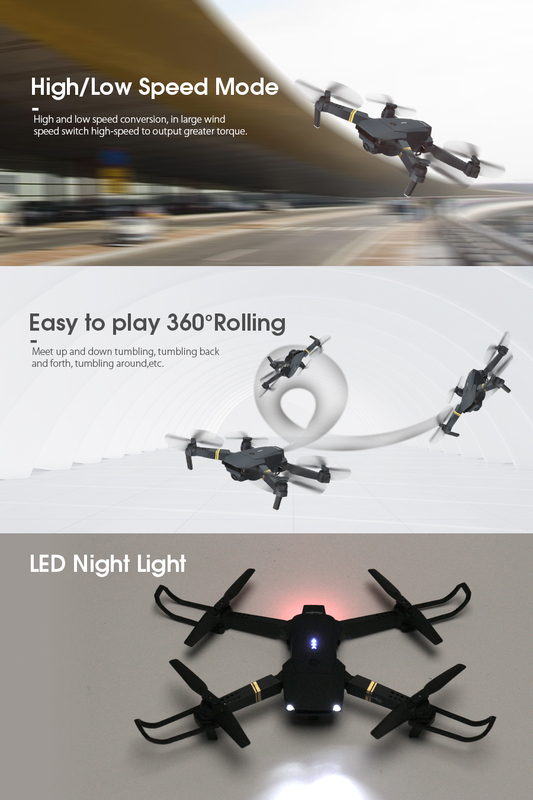 Not only does this drone fly well, it is very durable and will provide you with unlimited fun. 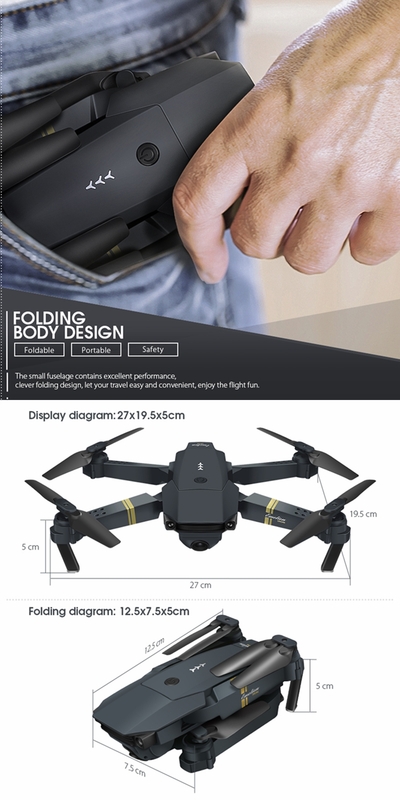 Foldable Design- Designed to be portable, the Phoenix™ Drone features a foldable design, allowing for carrying anywhere on the go without hassle. 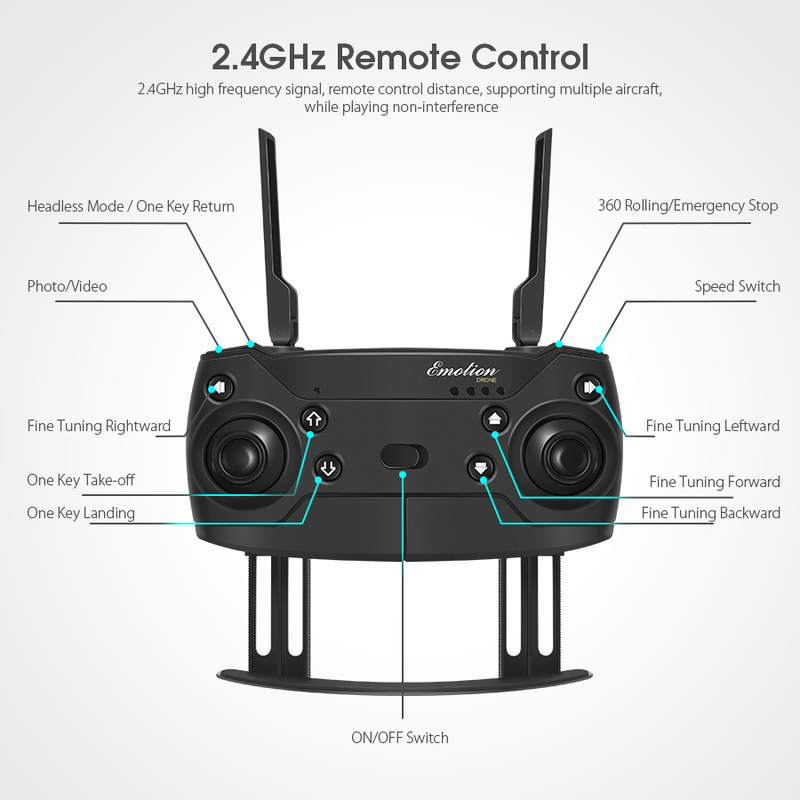 WIFI FPV- The WIFI enabled FPV camera is mounted on the drone, to broadcast the live video to your phone for a real flying experience. 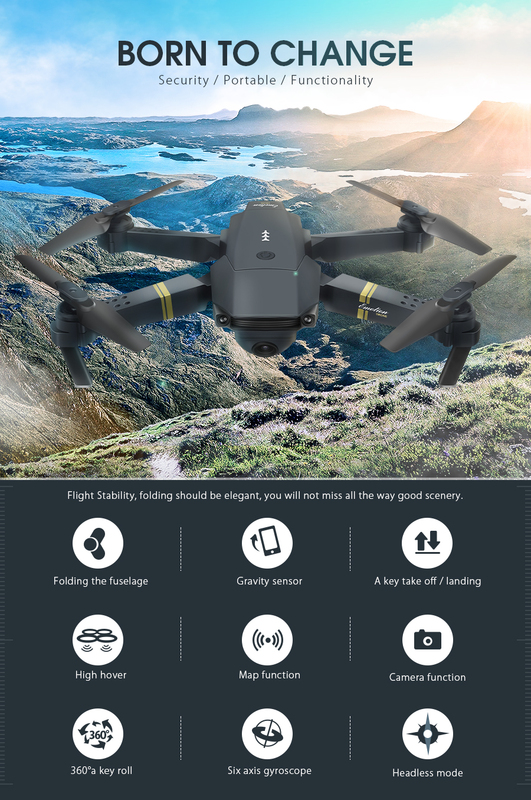 120° Wide Angle lens & 720 HD Aerial Camera - Built in HD Camera lets you record videos, take aerial pictures and selfies which will be automatically saved in your phone . Altitude mode- Altitude hold mode allows for precision, steady hovering at a certain height providing smooth hovering experience. 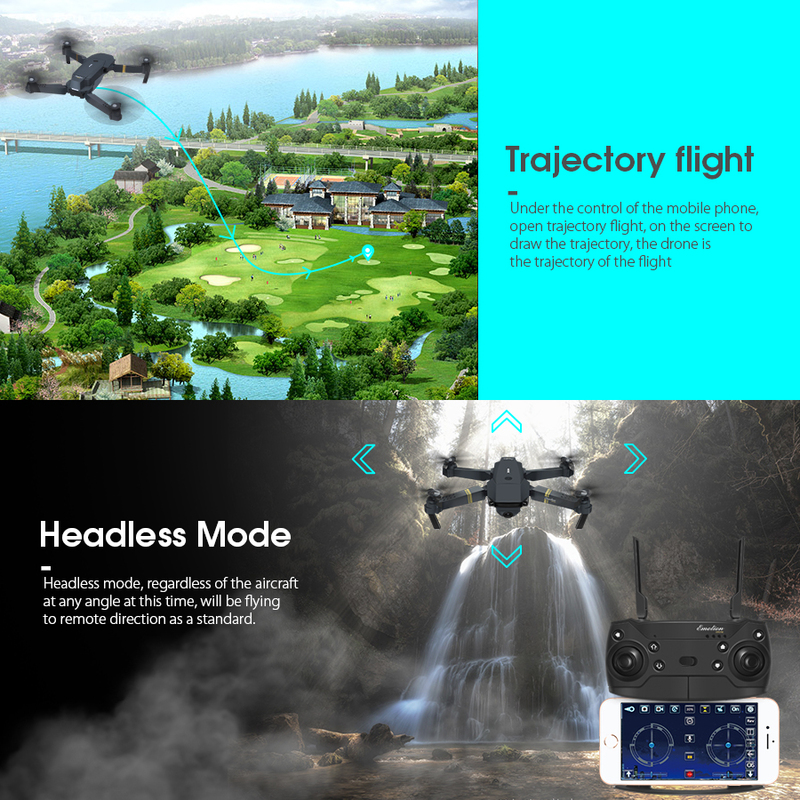 Super Stable Headless Mode- Headless security mode with 6-axis gyro enables smooth drone hovering and prevents from losing the drone and you can fly the drone to any location without worrying about which direction the drone is facing. 360 degree rollover- Roll your drone with 3D Flips and amazing agility, for a cool aerial show. 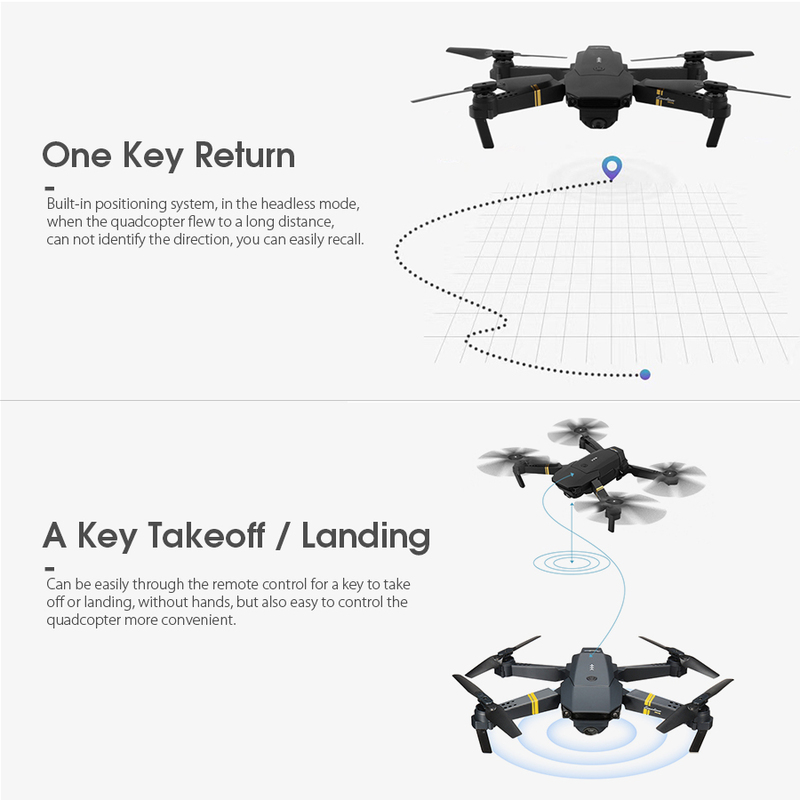 One Key Return - With one key automatic return function, you can call back your quad-copter quickly and safety.